My friend recently asked me to design the 'Save the Date' cards for her upcoming wedding, and this is the final product. 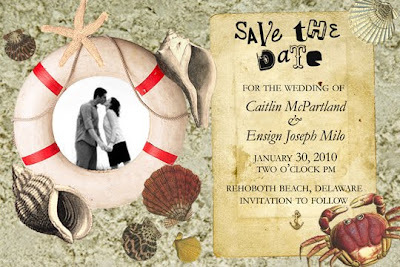 The theme of the wedding is nautical. So much more interesting than those cliche layered paper ones. Love it!! This is lovely. Much more interesting than the average piece of white cardand swirly writing.. And a nautical theme is a great idea (: I love how yoou put it all together.